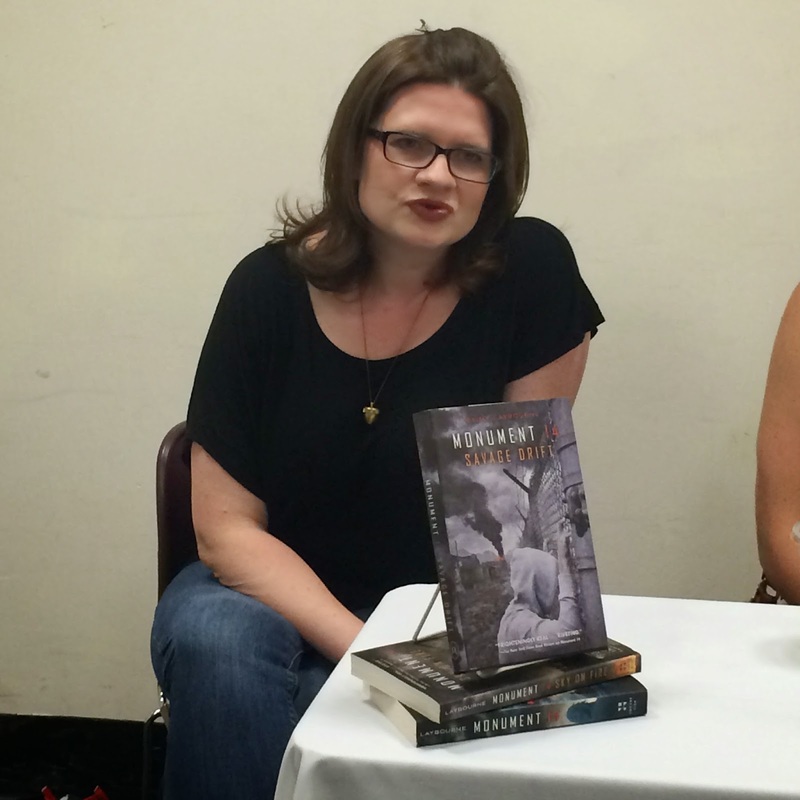 Two Chicks On Books: Fierce Reads Tour Stop Interview and a Giveaway! 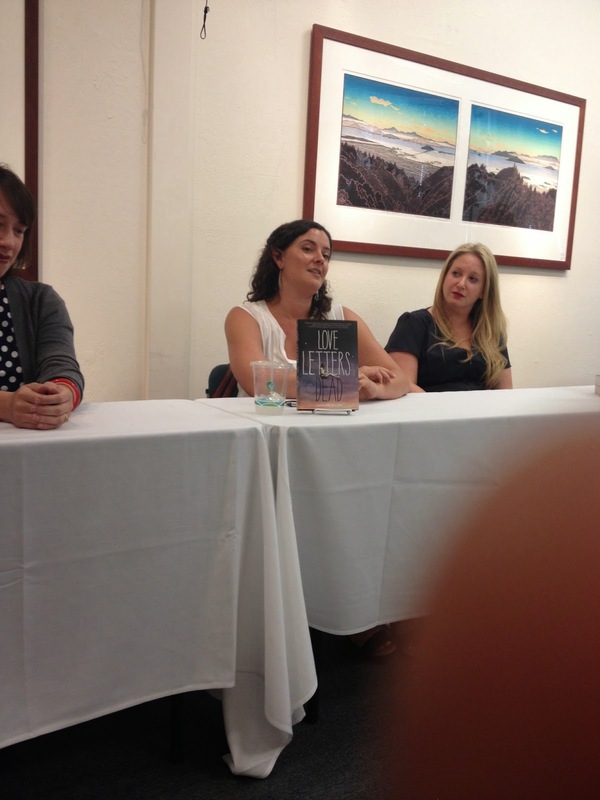 I was asked by the lovely ladies at Macmillan to be the blogger for the Fierce Reads stop at The Book Passage in Corte Madera (San Francisco) yesterday! I was thrilled to be able to hang out with the authors and ask them some questions and as always it was awesome to see Leigh and Emmy again I adore those ladies! 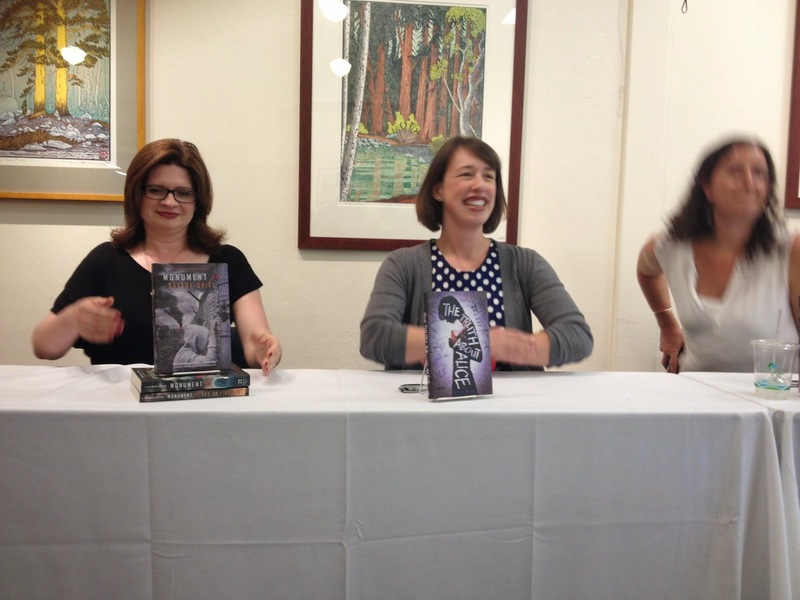 I have awesome pics thanks to the lovely Nancy from Tales of a Ravenous Reader who also helped live tweet the event with me! So let’s get on to the interview! I’m transcribing from notes and a recording so I’m changing it to 3rd person. Hey Ladies! We’re short on time so I’m going to ask you 3 questions each then ask all of you some lightening round questions! Here we go! 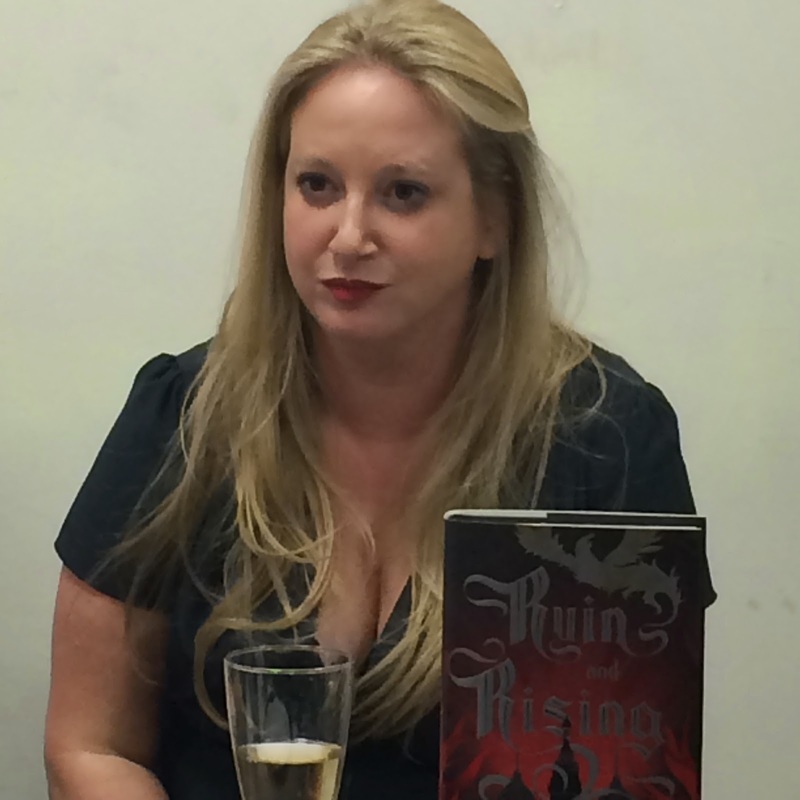 Ok so I guess we’ll start with the early releases of Ruin & Rising…. Has it been a nightmare? I know we talked a bit about it but, now that it’s out is everything better? She tried to stay away from twitter especially when the books released early in Canada 3rd books tend to incite a lot of emotion. She did get some hate tweets from some of those early readers (please people don’t do this it’s very uncool)! But for the most part people have been awesome and they are loving the book and it has been incredible! I just got my copy yesterday so I obviously don’t know the end but, how was it closing out this part of the Grishaverse will there be crossover with characters in The Dregs? As of now there is no crossover but some of the characters will be referenced. And who knows what will happen later….. So what can you tell us about The Dregs? The project, described as a blend of Ocean’s 11, Inglorious Bastards and Game of Thrones, is set in Kerch, a small island nation in the "Grishaverse" (meaning the same universe as her Shadow and Bone books) with tremendous economic power, the hub of all international trade and a country rich in art and culture ... but also home to one of the most dangerous criminal underworlds. A crew of dangerous felonious misfits face impossible odds when they are pulled together to break into one of the most guarded places in the world. And YES THERE WILL BE MAGIC!!!!!!! One of the Dregs is an exiled Grisha named Mina…… The magic of the Grisha Univers is there and it’s expanded upon. There’s also a letter in the eBook of Ruin and Rising from Leigh about The Dregs so you lucky ebook people check it out! Now that the Monument 14 series is over what are you working on? And how was it finishing up a series? She’s working on Sweet! It’s about a diet sugar substitute that ends up going horribly wrong when people on a celebrity cruise end up addicted to it and they start to do crazy things…. Any movie news you can share with us? She’s been brought in to consult on the screenplay and it’s in development. Strange Weather Films is producing it. Do you ever think about acting again? Why start with Kurt Cobain? She loved him growing up and remembered that moment of losing him and it was impactful for her. I checked out your playlist on Spotify love it! Out of all the songs on there what is your favorite? 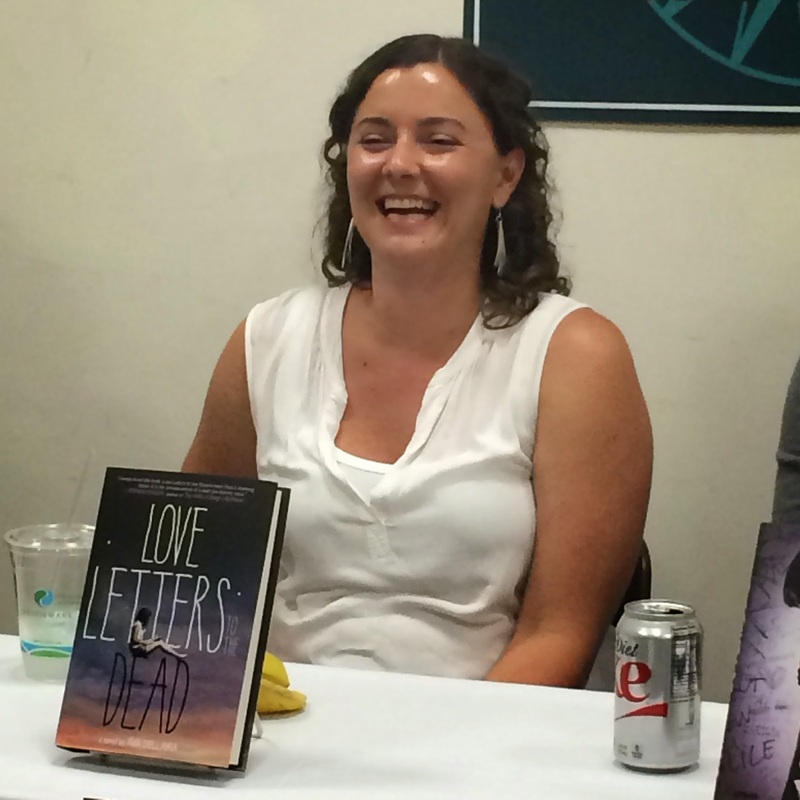 What’s up next for you not that Love Letters to the Dead is out? She’s working on writing the screenplay for Love letters the film has been optioned by the company that produced TFIOS and Fox 2000!!!!!!! No other books in the works right now but hopefully soon! I love that you wrote this from 4 POV’s! What made you decide to write it that way? And which of the characters was the easiest to write for you? She was inspired by The Spoon River Anthology by Edgar Lee Masters and wanted to write from different people. Her easiest was Kurt and her hardest was Elaine. So you’re a teacher. What do you teach? 11th grade English and she does have a couple middle grade classes too. Are you working on another book yet? Devoted it’s a stand alone in a small Texas religious community it’s kind of cultish about Rachel Walker a 17 year old girl who is about to explore the secular world and starts questioning what her life is about. Leigh: All the Fierce Reads Books! Leigh: The Black Canary ooh and check out the new Hawkeye Comics! Ava: Boyhood and just saw TFIOS and loved! Here's a few more pics plus a great group shot of all of us! Check them out and enter the giveaway! Good luck! 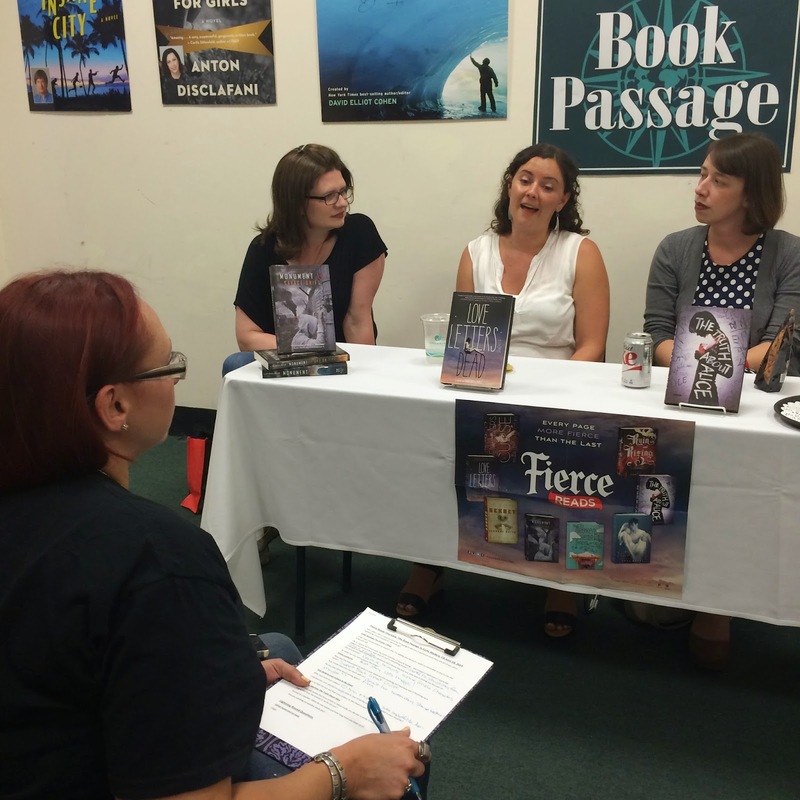 I hope that a Fierce Reads tour someday comes near me! This sounds like such a blast. I would absolutely go if it came anywhere near me! I just love attending events!!! Great interview!! I wish the tour was near me too! 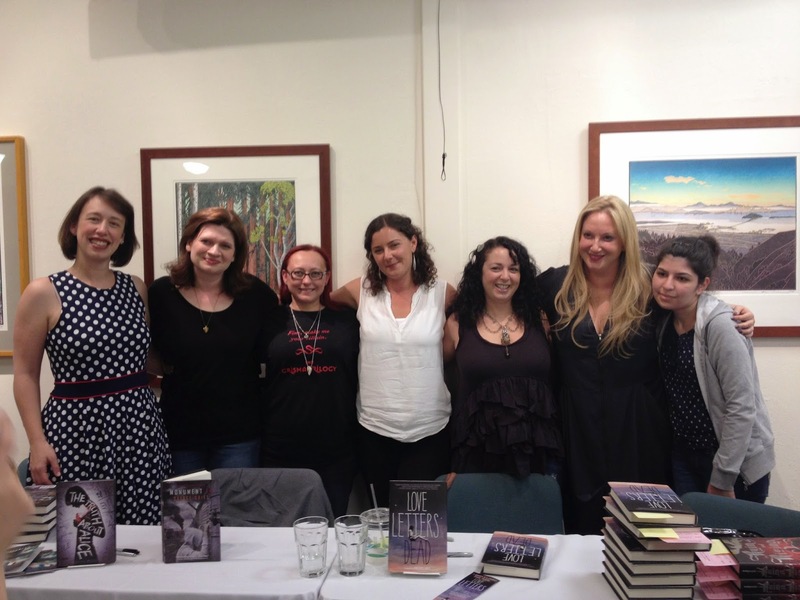 I would jump on the chance to meet these amazing authors!! This is so cool! I would love to go this! 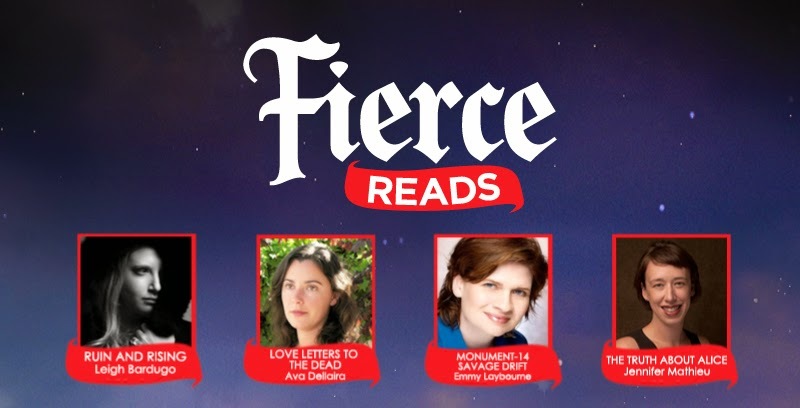 Gosh, I would love to go to a fierce reads tour! Hopefully one day they'll come somewhere close to my little town! What a great group of ladies and some great books. Books sounds great, would love to read them. Thanks. this looks like it was an awesome event :) Thanks for sharing! What a great collection, I'd be very happy to win any of these books. Thanks to all. Nice to have those ladies together! Great interview. I want these so bad!!! Thank you for the giveaway! Looks like it was an awesome event! Great interviews and cannot wait to read these books. Awesome books!!! I love the pics :) Sounds like it was a great event. I came to know the #FierceReads event through the live tweeting of Anya! I like learning about new genres & new stories that I have not yet picked up to read. I especially enjoy stepping outside my comfort zones & sorting out which genres or thematic I might enjoy that I might otherwise have passed on as I did not know as much about it. What I liked about the live tweeting, is that the authors personalities were fully present & I enjoyed learning about their writing in a way that was simply unique! Therefore, I tipped my hat into the bookaway! Thank you! So sad to see The Grisha Trilogy ending but still glad there would be spin off series! 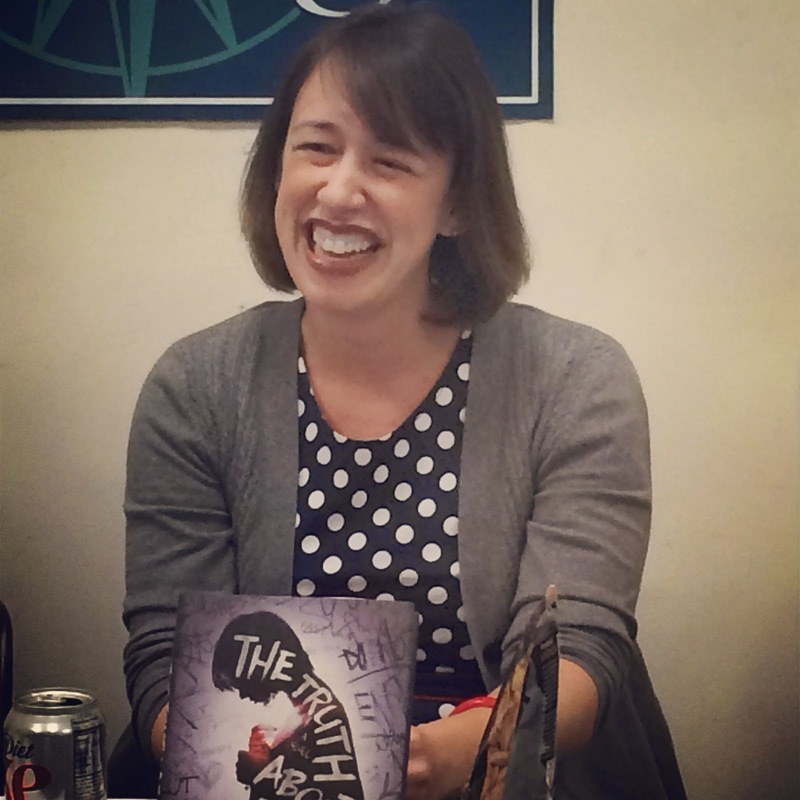 YAY for all these author tours! It really makes you get to know them better and these little interviews are awesome! Omg I would love to go to an event like this! Sounds so fun!!! I can't wait to read the Dregs! I hope it's as good as the first grisha series! Nice interview.